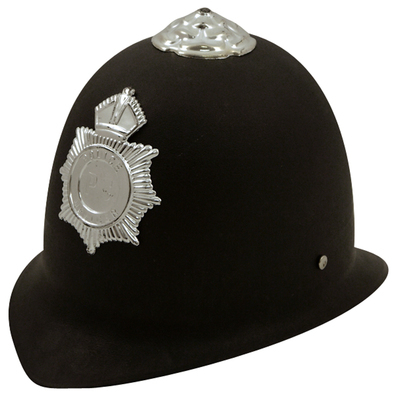 For those with a fascination for the law, our Early Years Police Helmet is a durable and exciting addition to your dressing up collection. Made from a hard wearing and durable plastic, this realistically inspired helmet features an official-looking silver emblem and point and is suitable for young children. A favourite amount our customers, the police helmet is secured by an elasticated chin strap making it both comfortable and reliable when in the middle of a high-speed pursuit. Inspired their imaginative play and give them an aspiration to reach for in their career goals. Keep their imaginations in full flow with our range of dress up headwear including our Early Years Builders Hat in Yellow or our Early Years Crown Hat.